National Snaffle Bit Association - The October Issue of The Way To Go is now Online! The October issue of The Way To Go is Now Online! When Ruth Rowe purchased Extremely Salty in August, she said it put her on the path to wholeness after the loss of her stallion, Suddenly Extreme in 2016. 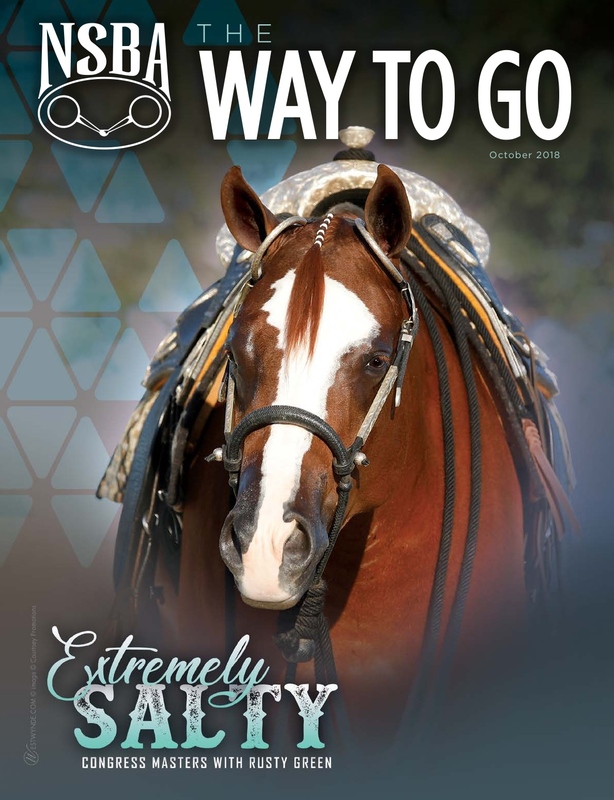 Learn more about her 2018 Congress Masters Western Pleasure entry, Extremely Salty, who graces this month’s cover. We asked NSBA members how long they have been attending the world’s largest single breed horse show, the All American Quarter Horse Congress, and what they can’t miss when they go. The Way To Go also looks at horse-related charitable foundations and how they work within the industry. We look back at the 2018 NSBA World Championship Show and Breeders Championship Futurity and recognize the top three places in each class. In this month’s Sound Advice, Stephanie Lynn discusses how accepting good advice can help you be more successful in the training pen and the show ring. Learn more about this year’s Youth of the Year, Anna Lia Sullivan, and see which yearling sale graduates earned the biggest checks, and much more in this issue of The Way To Go!